Straight lines had been arousing Friedensreich Hundertwasser’s indignation since childhood. Dismal recollections of geometrically perfect columns of German soldiers marching his native Austria after its Anschluss by the Nazis are probably to blame. Since then the artist declared full-on war to regular shapes and this made him one of the most cognizable architects of the latest century. Bulbs that decorate Friedensreich’s buildings are known around the globe as a symbol of fight against straight alignment. Shapes created by Hundertwasser could be called queer if not for author’s strict concept that touched not only upon his pictural and literary works but also upon his life style itself. The artist had always worn odd socks, proclaimed his manifestos fully naked and protested against enlargement of EU as a structure that deprives peoples of their authenticity. Hundertwasser was a homilist of tuneful coexistence with nature and at the same time a fighter for any displays of selfhood. Even small details in his projects testify to that: every Hunderwasser’s window is stylistically unique, roofs are all sown with grass and reach for the sky with tops of trees planted along the perimeter. Faces of buildings graphically demonstrate the master’s belief in “Window Right”: any cave dweller is entitled to paint outer walls of the apartment within arm’s reach. 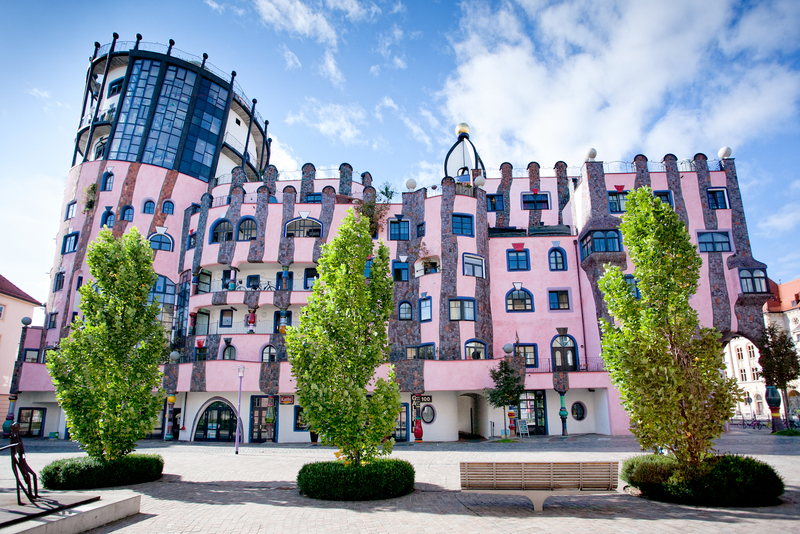 Hundertwasser turned to architecture when he had already gained popularity as a painter. His passion for journeys attributed to it significantly. By the age of 40 he had travelled the whole Europe having mastered numerous languages, visited Japan and countries of Arab Peninsular and North Africa. Milestone in all this movements became Spain since it is there, in Barcelona, where our “window” demiurge got acquainted with the mystic legacy of Antoni Gaudi. The Ausitrian himself more than once admitted he had been under the influence of the king of modern. Freethinking Hundertwasser felt architecture as if it was his third skin alongside his own skin and clothing. And despite his utmost whimsicality, the concept has awoken a decent echo in hearts of people in different countries. 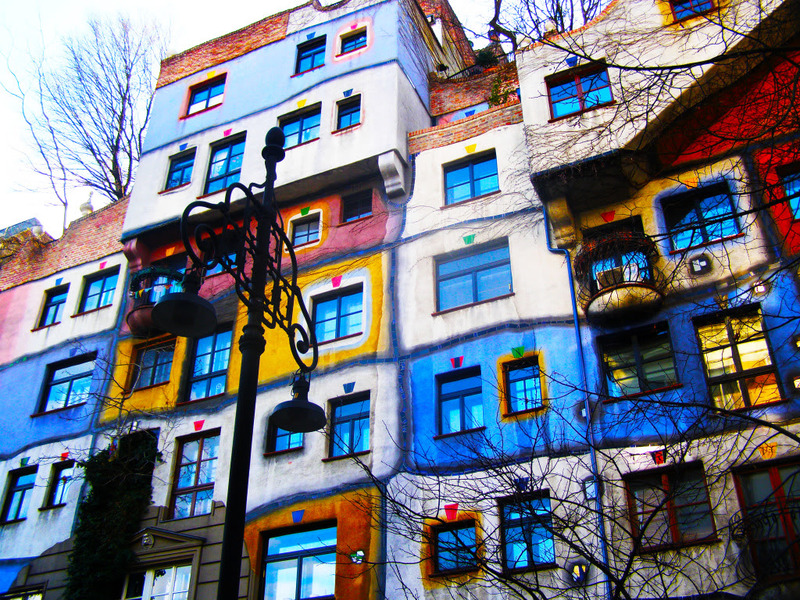 Hundertwasser’s houses can be seen not only in his motherland but also in Germany, Switzerland, USA, Japan and New Zealand. Among them there are small projects that the architect came up with redesign for, comprehensive architectural complexes and even industrial constructions. Hundertwasser wasn’t above embodying his ideas into creations of the most diverse scales. In his most famous house in Vienna about fifty apartments, cafés, parking and terraces are situated while just as pretentious a building in Magdeburg – the Green Citadel, concluded after the architect’s death, – is designed to accommodate over a hundred residential and office premises aside from a theatre and a hotel. It is noteworthy that Friedensreich refused to take payment for his Vienna project: it was enough for him that nothing ugly was erected in the place. 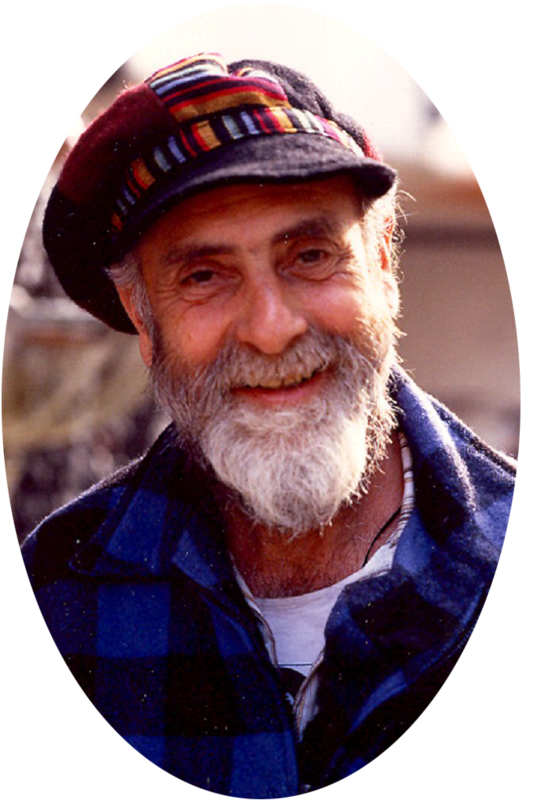 As an environmentalist Hundertwasser had always been interested in waste treatment issues. He stated that nature had no garbage and excrements so they shouldn’t evoke disgust in people. Philosophy of a like nature found its vent in designing of refuse burning factory in Vienna and even in erecting public lavatory in New Zealand. Both objects despite being literally trash-focused have amazing amounts of tourists willing to check them out. To conclude with, back to our “geography of the concept” it is worth saying that it wasn’t only WC-building that connected Friedensreich to New Zealand. This country occupied a special place in his life, level with Spain. Here he erected his dream dwelling and was buried here as well. Everything according to his will: no clothing, no coffin, near the roots of a tree. Austria Tyrol area is very distinctive. It has its unique cuisine, and even its own style of singing. Here the centuries-old history is perfectly coupled with natural beauty and sport facilities. Top of diversity manifestation is small mountain town of Innsbruck. It is the administrative centre of Tyrol, as well as one of the cleanest places in Europe, popular sports resort and a world-famous centre of contemporary art. Here were born composer Mozart and poet Georg Trakl, here Haydn wrote his operas, and many other famous people are connected with Salzburg. But only a small part of local attractions is linked to these geniuses. A city with a fairly small population, thanks to its memorable places was listed by UNESCO as World Heritage Site. Throughout winter, fabulous Vienna hosts balls season. As a guest or dancer, you can enjoy ball party in many cities, including Ukrainian ones, though the best choice is the capital of Austria – Vienna. Why it is so, and how to make a few pas towards one of the most spectacular events of the world, the OUTLOOK interviewed the only Ukraine dance sommelier Ivan Pavlov.